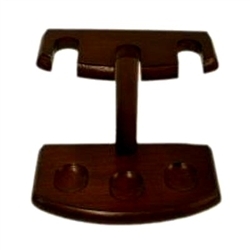 This solid walnut 3 pipe wooden rack will safely secure your pipe. This stand looks great anywhere with its attractive finish, and rich color. Now you can store and display your tobacco pipes properly.